Taiwan Broadcasting Corp of China (BCC) has been given three months to hand back to the government two FM frequencies, the National Communications Commission (NCC) said yesterday. 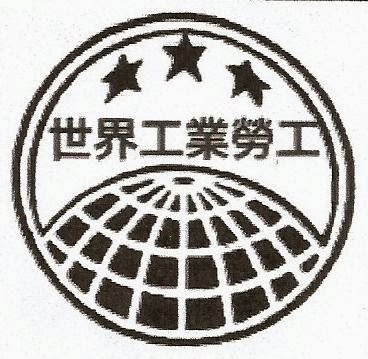 The BCC’s Formosa Network (寶島網) and i-Radio Network (音樂網) have been used to counter Chinese Communist Party propaganda. Their frequencies are now to be used for two new national networks, one for Hakka speakers and one for the Aborigines, which will be run by the Hakka Affairs Council and the Indigenous People Cultural Foundation respectively, commission spokesperson Wong Po-tsung (翁柏宗) said. BCC will still be the largest radio broadcast in the nation, with one nationwide FM network and two AM networks to reach its listeners nationwide, Wong said. When BCC chairman Jaw Shaw-kong (趙少康), a former Chinese Nationalist Party and New Party politician and former president of UFO Radio, acquired the BCC in 2007, he promised to return the two frequencies to the government once it had reassigned them for other uses, Wong said. That condition was met when the Executive Yuan on Aug. 16 said the frequencies would be used to build a national Hakka-language network and one dedicated to the nation’s Aborigines, he said. BCC now has three months to adjust its program lineup, reshuffle the personnel who work for the Formosa and i-Radio networks and inform its listeners of the changes, he said. The commission has already issued permits to the council and the foundation, which are expected to spend three to six months organizing their stations, Wong said. The Executive Yuan has suggested that the council and the foundation share facilities with other state-run stations, including the Police Radio Station and the National Education Station. Andy Hsieh (謝煥乾), director of the council’s Department of Legal Affairs, said Jaw was informed several times last year and this year that he needed to prepare for the return of the two frequencies. Although the commission had approved the BCC’s license renewal application on June 30, it included a conditional clause reserving the right to cancel the licenses for the Formosa and i-Radio networks, Hsieh said. The BCC on July 27 filed an appeal of the clause with the Executive Yuan, but the Executive Yuan’s appeal department is very likely to rule in favor of NCC, Hsieh said. NCC Department of Broadcasting and Contents Director Huang Ching-yi (黃金益) said the commission has consulted experts who said that based on the UN Declarations on the Rights of the Indigenous Peoples and the Indigenous Peoples Basic Law (原住民族基本法) and Hakka Basic Act (客家基本法), the government has not been allocating sufficient cultural resources for Hakka and Aborigines. The National Communications Commission (NCC) yesterday defended its decision to ask the Broadcasting Corp of China (BCC) to return two FM radio frequencies, saying the BCC had promised to return the frequencies and is not using them in the public’s interest. The commission on Wednesday announced that the BCC had three months to return the nationwide frequencies used by Formosa Network (寶島網) and i-Radio Network (音樂網). The government no longer supports blocking the broadcast of Chinese propaganda, so it wants the frequencies back, which the BCC had promised to do, the commission said. BCC chairman Jaw Shaw-kong (趙少康) has repeatedly been told that he should be ready to return the two frequencies once they were reassigned, and when the BCC’s operating license was renewed on June 30, a clause was inserted reserving the right to cancel the licenses for the Formosa and i-Radio networks, the commission said. The frequencies are to be used for two new national radio networks, one for Hakka speakers and the other for Aborigines, the commission said. The BCC late on Wednesday night issued a statement calling the commission’s demand an example of “political persecution” targeting media outlets that have different political views from the government. The commission is using the ruling to suppress press freedom and broadcasting rights, the BCC said. The Executive Yuan’s appeal committee ruled in favor of the company in 2010 when it canceled a similar conditional clause in the license renewal application for that year, the broadcaster said. The 2010 conditional clause had created uncertainty about the BCC’s operations and reduced the actual benefits gained from having its license renewed, it said. Yet the commission has disrespected the appeal committee’s decision by attaching a conditional clause to this year’s company’s license renewal application, the BCC said, calling the move evidence of outright contempt and a violation of administrative principles. The BCC said it was the only one of the 23 stations allocated frequencies to block communist propaganda from China, including Police Radio Station, Taipei Broadcasting Station, Kaohsiung Broadcasting Station, International Community Radio Taipei (ICRT) and Fu Hsing Broadcasting Station, to be told it must hand the frequencies back. The government should first evaluate how all these frequencies have been used before deciding which ones should be returned, it said. The government’s plan to release a new batch of radio licenses shows the nation still has frequencies to build new stations for Hakka speakers and for Aborigines, the company said. The commission has disregarded the Executive Yuan’s authority in reviewing the appeal, as the Executive Yuan’s appeal committee is still reviewing an appeal request the company filed on June 27, the BCC said. It said it would legally defend its networks. The commission yesterday issued a detailed response, saying the decision to take back the two frequencies was made when the Chinese Nationalist Party (KMT) was in office and was aimed at helping Hakkas and Aborigines preserve their cultures and has nothing to do with press freedom. The BCC was the only private radio station given frequencies that could be used to block Chinese propaganda; the others, including ICRT, are either state-run or serve public interests, the commission said. “It has been almost 10 years since the company promised to return the frequency. It should already have a withdrawal mechanism in place, and it is really inappropriate to resist the administrative order through spurious reasons,” the commission said.